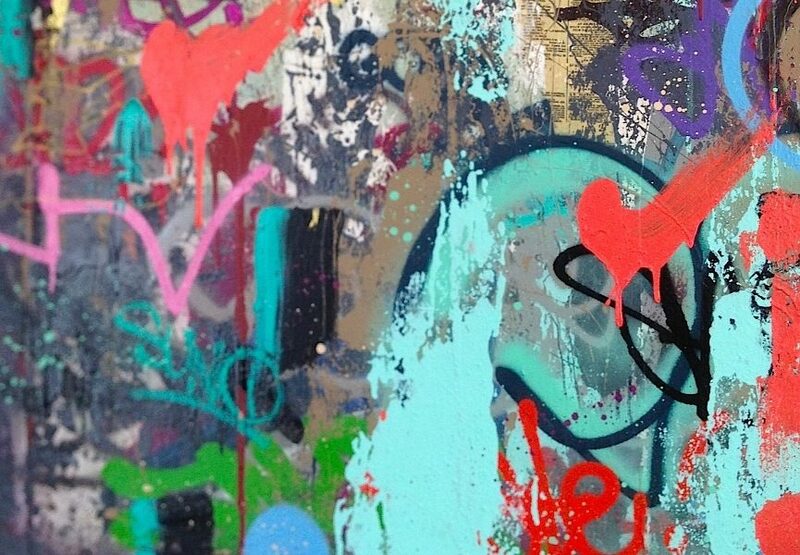 Two of the New York graffiti walking legends are opening a joint exhibition at the Krause Gallery this Thursday. 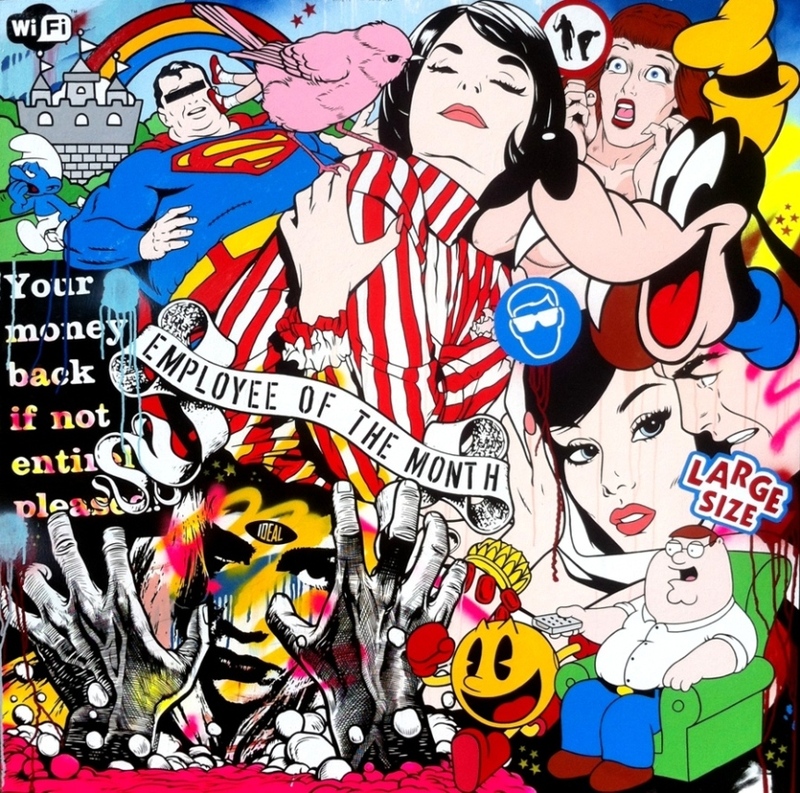 The artwork by Cope2 and Ben Frost will occupy the main space of the gallery, making parallels between two compatible, but distinctively different styles. 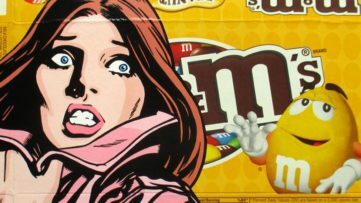 While Cope2 will be represented by his iconic bubbly throw-ups, Ben Frost has prepared an array of interventions of various packagings of candy, medicines and other household supplies, superficially entertaining with a strong satirical undertone. 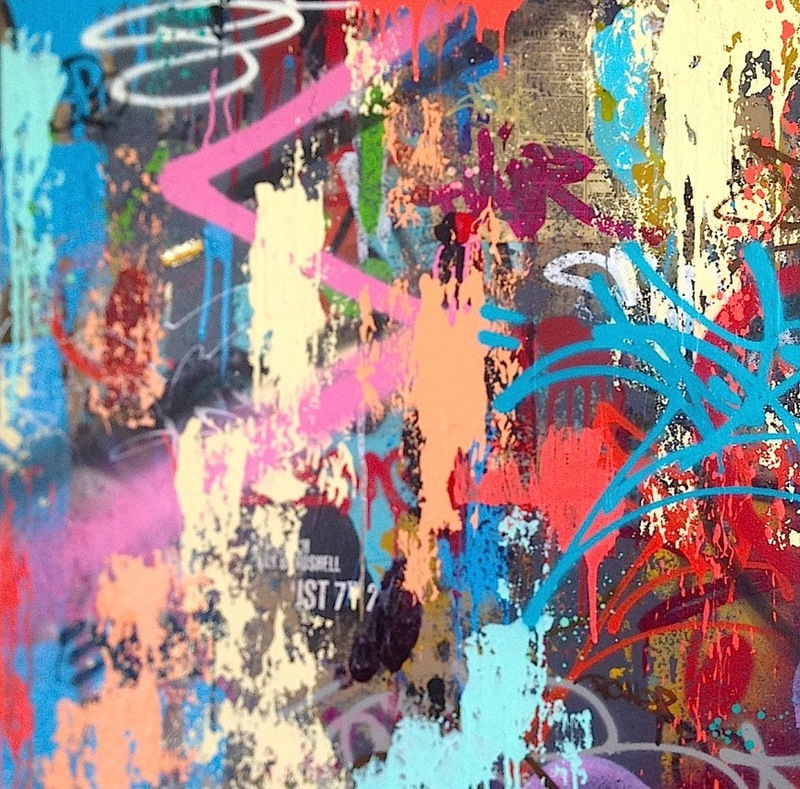 Both of the artists are known today as pioneers of the craft, helping the street art movement through the door of the official art scene. printed sculptures produced by a small selection of emerging urban artists. Not many people would recognize the icon Cope2 under his real name Fernando Carlo. 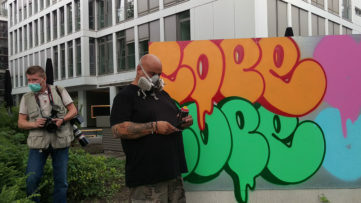 Coming from the Kingsbridge section of Bronx, Cope2 has been an active graffiti writer since the late 1970’s with a substantial career and international recognition behind him today, although his recognition as a pioneer came later than expected. His crew Kids Destroy was founded in 1982 and over time it changed its name to Kings Destroy, while Cope2 was called King of the 4 Line. 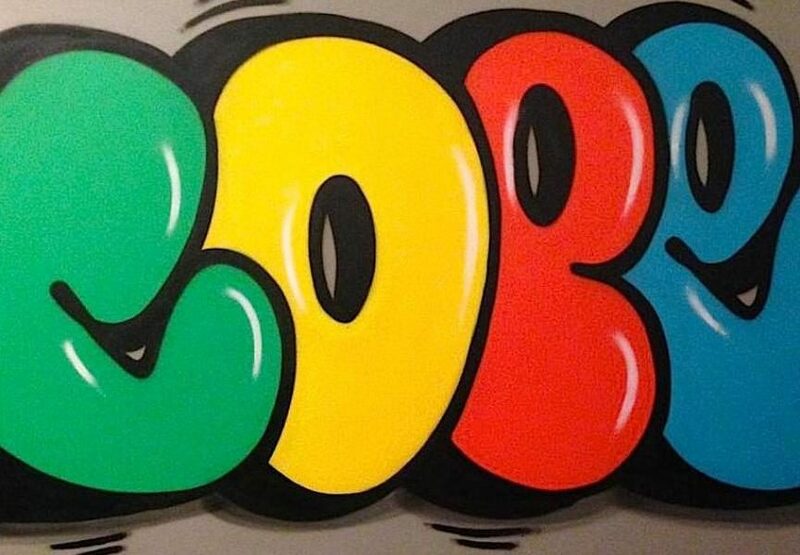 Identified after his vibrant throw-ups and wildstyle abstraction, Cope2 has been evolving the basic visual language acquired in his place of origin. 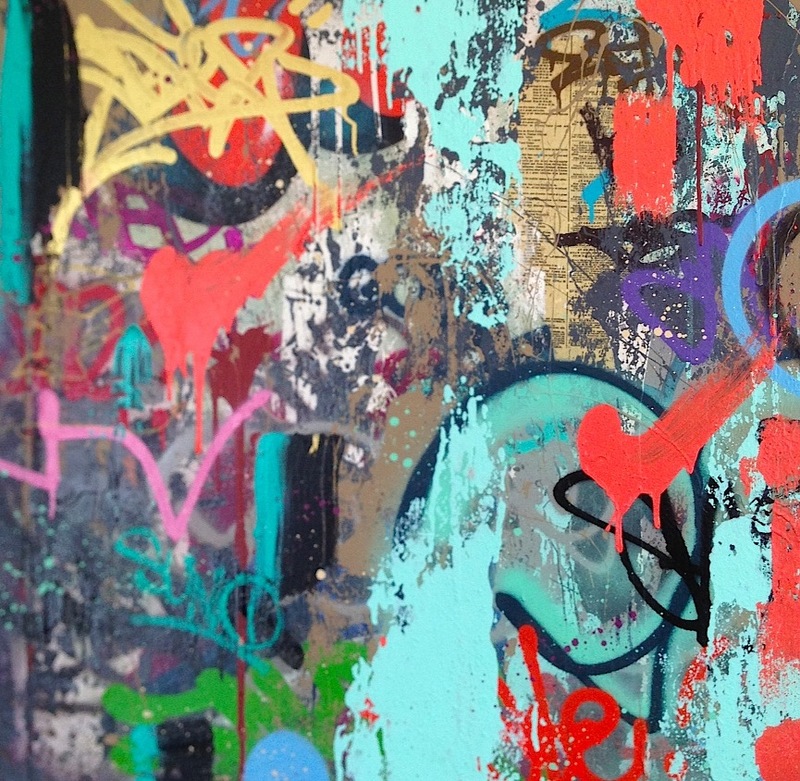 The success of Cope2 artwork has brought the artist significant collaborations with design companies and magazines such as Adidas and Time Magazine, but with other artists as well, among which are Shepard Fairey, Kenny Scharf, Retna and many others. 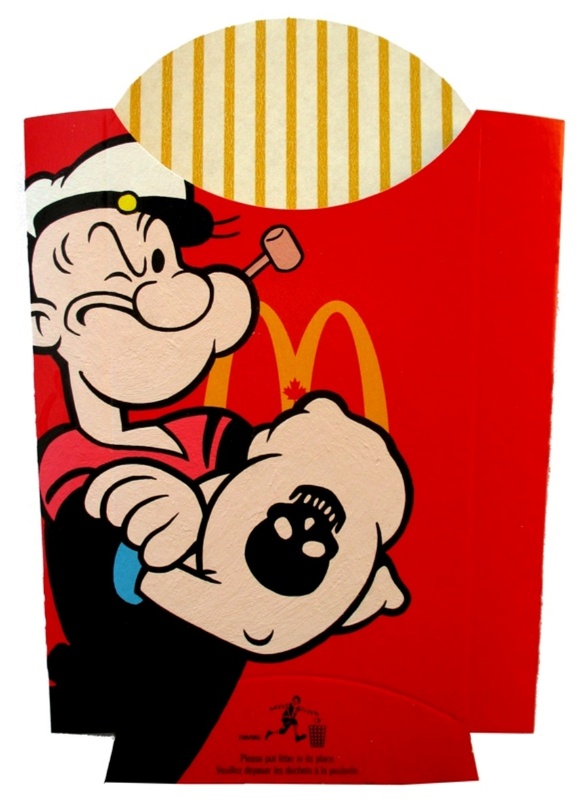 Through his clever collage-like images Ben Frost questions the widely accepted norms of contemporary culture, in terms of value, moral and virtue by assigning new properties to the generally beloved or looked up to characters. By taking iconic personages from entertainment, politics or advertisement and placing them in controversial situations, Frost conjures a visually easily digested, but conceptually challenging display of confronting emotions and assumed qualities. 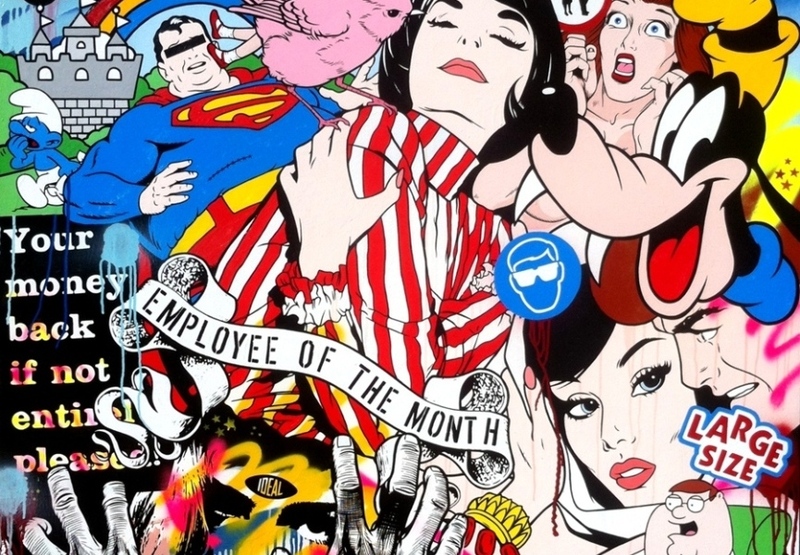 Based in Australia, Ben Frost exhibits nationally and internationally. 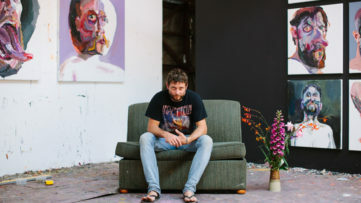 One of the first performances of this Aussie creative that attracted attention was entitled Ben Frost is Dead, when he faked his own death in 2000, which earned him a rather negative attention. Still, this imaginative artist has a successful career with realized exhibitions in Europe and USA, as well as in the growing Asian art market. His work appeared in many renowned publications, including Vogue and Harper’s Bazaar. 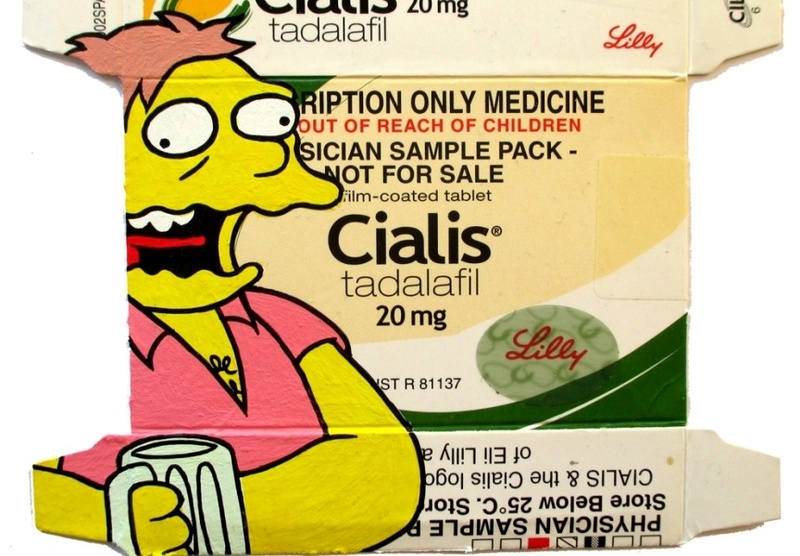 Ben Frost started an online shop Stupid Krap, dedicated to promotion of innovative urban aesthetics. Founded in 2004, Krause Gallery is dedicated to representing emerging and established creatives without being limited to a style or medium. All of the artists represented by this New York space are progressive in their own way, whether through the concept or technique or through the redefinition of the approach toward the visual arts. Krause Gallery offers consulting services to art enthusiasts and collectors as well.